To say the Lakers are in disarray right now would be an understatement. With Magic Johnson stepping down suddenly, the Lakers were left in a bind. Although Magic stepping down might be a good thing for the organization in the long run, in the immediate future, it causes problems. With GM Rob Pelinka set to conduct the search for the next head coach, ESPN’s Ramona Shelbourne, had an interesting tweet on Sunday. What? The Los Angeles Lakers, one of the greatest franchises in all of sports, are considering hiring one of three nobodies? Tyronn Lue was Lebron’s puppet in Cleveland, Monty Williams had a 2-8 record in the playoffs and is well below .500 for his career and Juwan Howard has never had a head coaching job. This is the best the Lakers can get? The question has to be asked, why are these the three candidates that jump to the top. The answer is obvious right? Lebron James. All three candidates have close ties with Lebron and can be considered “Lebron’s guys”. The question is: Why is that the answer? This isn’t the Cleveland Cavaliers or even the Miami Heat. The Lakers storied franchise goes way back to names like Wilt Chamberlain, Kareem Abdul-Jabbar, Elgin Baylor, Magic Johnson, Shaquille O’Neal, Kobe Bryant, and the logo himself, Jerry West. James is just one player of many to play for this franchise. With 16 championship banners hanging in the rafters, one man should not be the guiding light for a franchise that has been at the top so many times. James coming to the Lakers was an exciting time for Lakers fans. For most fans, the arrival of Lebron meant the Lakers were finally going back to the playoffs. The Lakers disastrous season was derailed with Lebron experiencing the first major injury of his career. All things considered, Lebron is winding down his career, not starting it up. Why is James the focal point for the next coaching hire? Let’s say Lebron retires in five years (unlikely) having won one championship (more unlikely, for now) for the Lakers, will he be remembered as a Laker? No. He will always be a Cavalier. Bringing the championship to a city desperate for a winning team will always be the highlight of his career. The one he won in Los Angeles will always be the “oh yeah, that” moment. Whoever the next coaching hire is, the Lakers need stability. Luke Walton was wise to take the job in Sacramento after “mutually parting ways” with the Lakers. The Lakers job isn’t ideal, but it’s still in a premier market, coaching a massive sports brand. It shouldn’t be “Who can we hire to please Lebron?” It should be: “Who will take the Lakers back to the promised land?” The Lakers will be a franchise long after Lebron retires. Let’s face it, Lebron will be 35 at the end of this year. The Lakers need to plan for the future. The more Lakers management acts like this isn’t a premier destination for players and coaches, the more people will believe it. That goes for coaches and free agents alike. 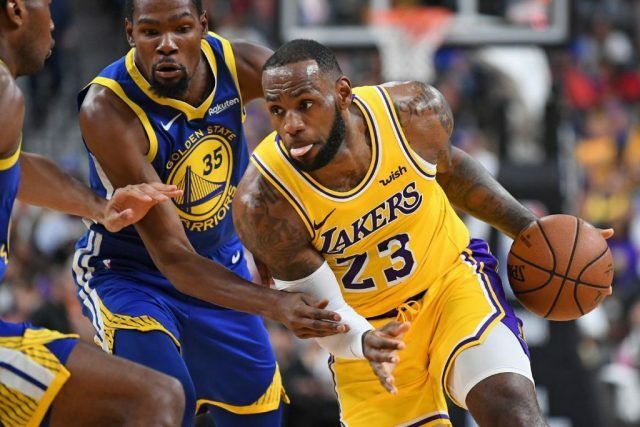 The Lakers are still the Lakers and Lebron James should not overshadow a franchise like the Lakers.